Which is good, because optional content in Assassin’s Creed games is usually… lacking in quality. 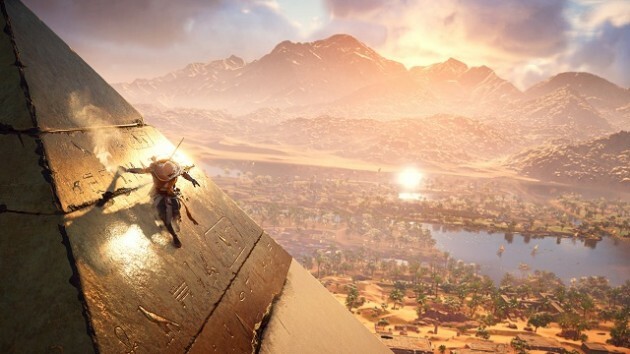 Assassin’s Creed Origins represents a thorough overhaul of Ubisoft’s flagship franchise so far, with its very genre and structure being rethought as an open world action RPG, instead of an open world action game like the series has been so far. Given the long development cycle, which even resulted in the series’ first annual hiatus since 2009’s Assassin’s Creed 2, expectations are high that Origins will address all the areas where the series is deficient, and deliver the kind of rethinking of the franchise that Assassin’s Creed 2 did all those years ago. One of those areas is optional side content- it has gotten increasingly banal and trite in recent games over the last few years, until the games have become glorified open world checklists and collectathons, more than anything else. However, with Origins, Ubisoft is promising higher quality optional content for the players to stumble upon. “We’re about a thousand years before the first Assassin’s Creed. For sure, we play with that and we wanted not only to create a big world but also to make sure that the world is constantly fulfilling your needs, constantly rewarding your discovery. We want people that go off the beaten path to be rewarded by a discovery, a meaning, and so we fill the world with this kind of stuff,” said Game Director Ashraf Ismail in an interview with GameReactor. “We have a lot of surprises in there, a lot of it is optional content, we put a lot of effort into having really high quality optional content. The idea that ancient Egypt is mysterious, that it invokes this awe feeling, we wanted to feel that in the game. I can believe this, actually- especially since Black Flag was one of the times that side content in Assassin’s Creed felt thematically appropriate, and that it did not feel tedious. Let’s hope that the final game is all that we are hoping it will be, and lives up to our expectations. Assassin’s Creed Origins will launch on October 27 on PS4, Xbox One, and PC.